MotoLife® is born with the objective of improving the lifestyle quality, the health state and the psycho-physical wellbeing of all the people who have a physical or neurological impairment of the lower and upper limbs. Therefore, it is of great help for the functional recovery or for the prevention and revert of the complications strictly related to the problems of mobility impairment and immobility. It is adequate for home use or in clinics, medical Studios or at therapy centers for exercising the upper and lower limbs. 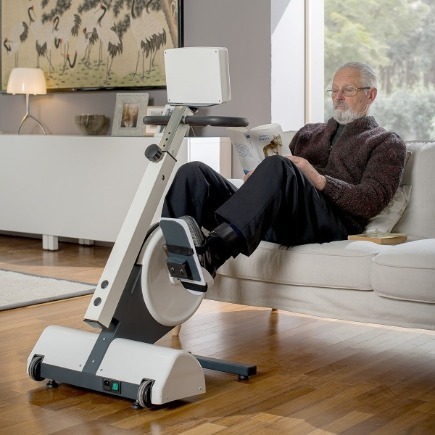 Benefits of the movement therapy with the use of a motorized cycle-ergometer are widely treated in several international papers. They deal mainly with the prevention or revert of the complications which are directly linked to the lack of movement and mobility and especially with the reduction of muscle spasticity, the revert of muscle atrophy caused by immobility, the increase of specific peripheral circulation and the improvement or maintenance of the joint mobility and the slow-down of the clinical picture of neurological pathologies such as a stroke, multiple sclerosis, Parkinson’s disease, etc. Geriatric conditions or other problems which lead to the reduction of the movement capacity. 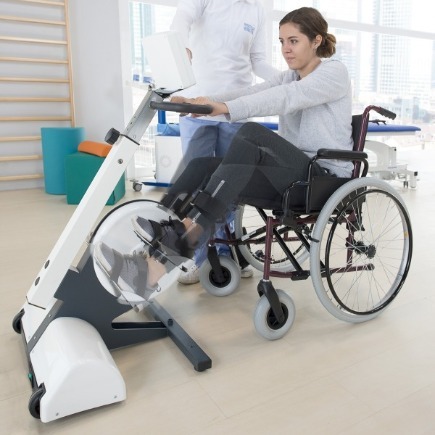 In the case there is no residual motorial activity for the lower limbs, MotoLife® allows to perform passive pedalling movement, in which the feet and the legs are pulled by the motor at a speed previously set (passive kinesitherapy). When used for the upper limbs, in the case there is no residual motorial activity, MotoLife® allows to move passively the arms in a cyclic way. 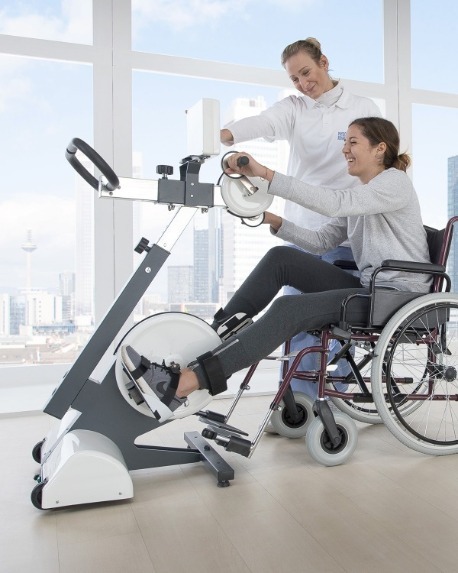 Whenever the user is capable of pedalling, even weakly, by using his or her own force, the motor offers assistance to start and maintain the motion at the pre-set speed (assisted movement). 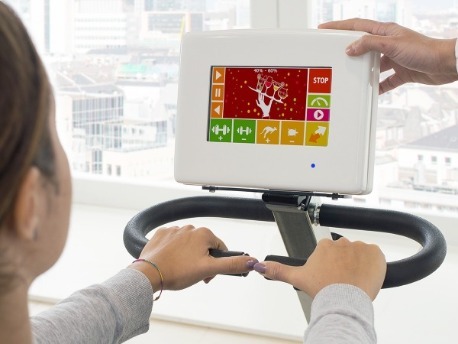 If the user is capable of going over the speed of the motor and keep a pedalling by himself or herself MotoLife® may make resistance and it can be adjusted in order to increase the work of the muscles and improve the cardiopulmonary efficiency (active kinesitherapy).Passing from one mode to the other can happen automatically: the on-board computer checks in real time and continuously the force exerted on the pedals or on the handgrips by the user and it adjusts the level of assistance o resistance of the motor accordingly.